Good morning all! Martina here with a quick make for those last minute cards. This is my last post for our current theme, (featuring Imagination Craft's Rice Papers and Crafter's Companion Foils) and the more I have played with the elements the more ideas I have had! I admit when I first came across the foils and transfers it took me back to the days of old and I was a little dubious. The way that they have been made though, makes them very versatile and able to be a subtle addition, or indeed the major part of a card: I'm a convert! I decided to play with the effects of the foils on different cardstock, so for this make I chose kraft card for my base. I cut a topper panel to the correct size and then cut a sheet from the Delicate Details Transfers Pack in half. Covering one half of the topper, I used the included lolly stick to rub all over the transfer. I then removed the top carrier sheet and took a length of Rose Gold Foil, placed it over the panel and rubbed all over. To cover the bottom half of the topper, I used a small section of the Imagination Craft's Rice Paper Design 435 and applied with Magi-bond Decoupage Glue. To cover the join, I found some ribbon from my stash. 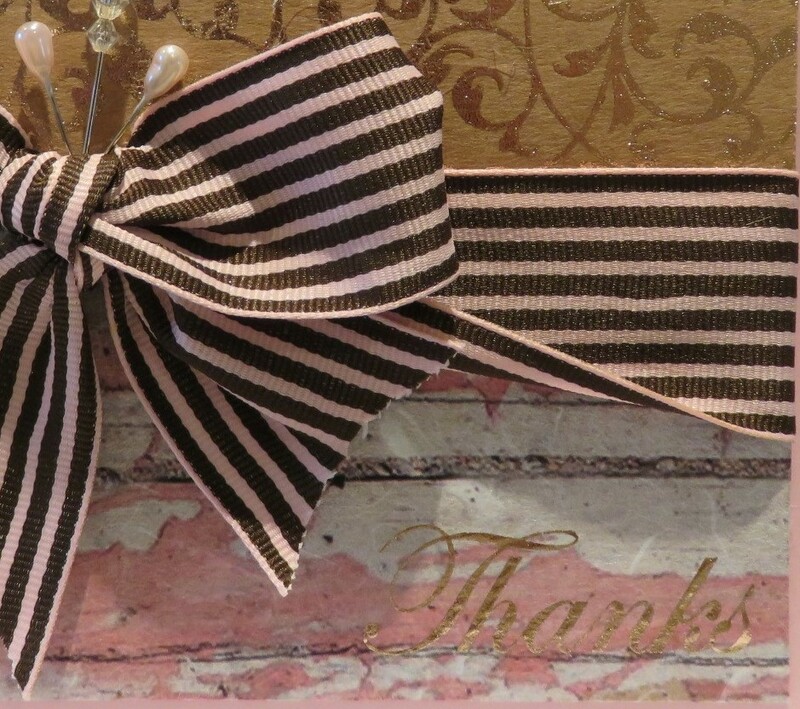 I struggle to make a perfect bow on my cards so I used an old trick - I tied a narrow ribbon at the place I wanted the bow to be, then tied a 'perfect' bow on a bow-maker. I stuck the bow onto the join with hot glue and then chose some pins from my stack to add a little bling. 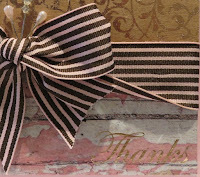 The finishing touch was to bring it all together and add a sentiment using the foils and transfers as before. There we have it: quick, easy and ready to go! For those of you attending Lisa's class, I will see you tomorrow!